Description A nice example of a Pullman lounge car menu from 1966. The menu code of S57-5C-1-66 shows 500 menus were printed in January of 1966 using the S57 layout. Purchased on eBay, the seller added the following information. I trust this insight 100% as the seller is a known authority on all things Pullman and received this straight from the Pullman Commissary in Chicago as they were shutting down. 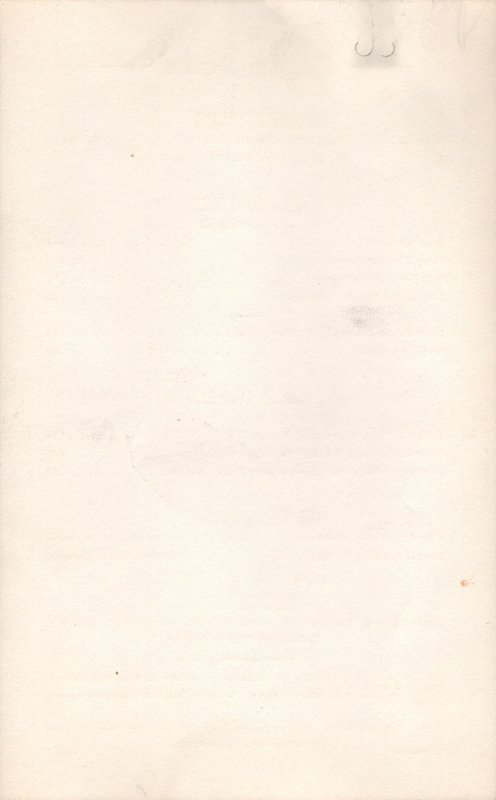 "Pullman Company single page food menu issued in 1966, for use on the Baltimore and Ohio National Limited between Baltimore and Cincinnati - Line 6171. 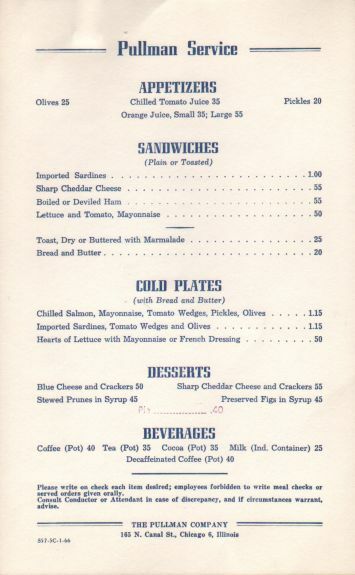 This menu was used on the Pullman operated observation sleeper lounge which was the only 1st class service left on the train at that time and was the only food service car on the train. This menu is printed on white card stock and is 6 1/4 inches wide and 10 inches high. It is in fine condition and does have a rubber stamp impression reading "Pie------.40", unusal addition for Pullman."